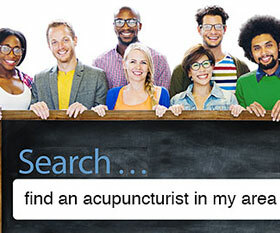 Acupuncture Websites – What Your Graphic Designer Won't Tell You. Acupuncture Websites – What Your Graphic Designer Won’t Tell You. If I had to single out the biggest marketing mistake many acupuncturists make, it would have to be failing to view their website as a lead generation tool. It’s not uncommon to read in a forum about a newly graduated practitioner who writes something like this; “I printed 1,000 business cards, distributed them all out and only got one new patient.” They’ll voice their frustration about how difficult it is to build a practice from scratch. Yes, starting an acupuncture practice does require energy, commitment, persistence, and some money or at least good credit. This alone is stressful enough. When you add the apprehension most acupuncturists have about marketing, you have a recipe for uncertainty and confusion about what marketing strategy to implement. If I were writing this 15 years ago I’d probably be showing you how to put together a Yellow Page ad that beats the competition. I would also be telling you to put 80% of your advertising dollars into the Yellow Pages and spread out the other 20% among other media. But times have changed in a big way. Today I would tell you to invest 90% of your ad dollars on the internet and just 10% elsewhere. 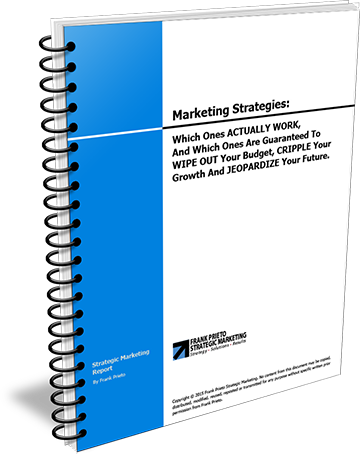 If you do it right, you will never have to worry about marketing again. Having a good online presence (search engine optimization) and incorporating strategic marketing into your acupuncture website is how you build a lead generation system that runs on auto-pilot. Yes it takes some effort. You either have to learn how to do it, or hire an expert. And when I say hire an expert I’m not talking about hiring a graphic designer. Graphic and web designers are trained to make websites pretty, but pretty website don’t sell. Medical doctors are trained to prescribe drugs instead of addressing the underlying cause of the problem. It’s not their fault. That’s how they are trained. If you want to get off prescription drugs you don’t go to a different medical doctor because he/she has the same training. It’s no different with graphic designers. Please don’t misunderstand what I’m trying to get across. I don’t have anything against graphic designers. I use graphic designers for logos and for brochure layouts and so forth. But I don’t let them get all creative on me using artsy-fartsy graphics and fonts that deviate from communicating a compelling message. Have you seen the amount of websites today that use light grey text for the content? Let me ask you something... Have you ever read a book or a newspaper printed in light grey text? So why on God’s earth do graphic designers create web pages with light grey text? Because it’s pretty and “cool.” It’s not their fault. Creating “prettiness” is what they were trained to do. Forget that you might lose half your visitors because they have a hard time reading your message. What’s important to the graphic designer is that it looks pretty. My dear practitioner, an ugly website with compelling content to strategically position you as the obvious choice, will outperform a pretty website with fluff and puffery any day of the week. Your website is not supposed to be an extension of you. 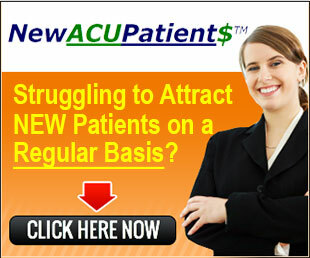 It is a marketing tool to generate qualified leads and convert those leads into new patients. There’s a right way and wrong way to accomplish this. I’m not suggesting you design an ugly website. What I am saying is that your acupuncture website should be used as a strategic marketing tool to separate yourself from the pack and position you as the trusted expert in your town. This is how you take your practice to the next level in less time you ever thought possible. Based on your article, I feel that you have a very skewed perception of what graphic/communication designers do for a living. Marketing and graphic design often go hand-in-hand. A good designer should be aware of the client’s target audience and how to approach this audience. This includes being aware of different audiences for different mediums — Viewer A finding your website through Google is very different from Viewer B directly typing in your URL, who are both very different from Viewer C who clicked a link on another blog and ended up on your website. That said, a good designer will work closely with you to find the best solution for attracting new clients (if that is your ultimate objective), which is aided by a positive interactive experience online — your website. Generally, once objectives are set, good designers will seek efficient, effective solutions. Hardly anything in this process is arbitrary; nothing is done simply “because it’s pretty”. To use your example, setting a particular section of text in grey (as opposed to full black) can do several things: organization—making two different types of information distinct for clarity; contrast—drawing attention to certain pieces of information first, if the hierarchy calls for it; readability — text that is 85-95% grey (100% would be black) is often said to be easier on the eyes for extended lengths of text. Good typographic solutions on your website will offer your audience a much more comfortable and memorable experience. To use your website as an example — giant red text, highlights, a large number of bold words — it’s as if I walked in a room and ten people started shouting at me. The target message is lost because every word competes for attention. Rather than informing me about something, it’s taking that information and forcefully shoving it down my mouth and into my head. A quick glance and I’ve left the page, without retaining much information. As a heavy internet user myself, I noticed that the website resembles the bulk of diet pill and auto insurance ads that fill my browser, and the information is quickly filtered out of my vision. Perhaps you’ve had experience with “bad” designers as opposed to “good” ones. Just as there are poorly trained acupuncturists out there, doing poor work for a buck, there are poorly trained designers out there, doing trendy or downright ugly work for the money. But don’t allow them, or yourself, to denigrate the profession of graphic design, or believe that all designers are trained and work in the same way. Like all facets of life, it’s not black-and-white. Hi Tom, thank you for your comments. The only thing I find myself agreeing with you on is that not all graphic designers are trained – and work – in the same way. There are many fine graphic designers that I’ve worked with in the past and continue to work with today. When you say marketing and graphic design go hand in hand, you are absolutely right. I believe there is a happy medium. However, in the real world of small business that gets overlooked most of the time. Most small business owners (like acupuncturists) don’t have deep pockets to hire a strategic marketing expert and a graphic designer. So many go and use a template to design their website. There are some good templates, but there a far more templates that come preset to display gray text in the content area. I’m referring specifically to many WordPress blog themes. For example, this blog theme you are looking at comes preset with gray text. I had to edit the CSS file and change it to black. Readable text is meant to be black. Not because I say so, but because sales conversion tests prove it. Yes, I agree that different color text is used to make different types of information distinct. But the readable “content” should always be in black. Have you ever read a book printed in gray text. How about the morning newspaper. Have you ever read an article in your local paper printed in gray text? You’ll find a great example of good marketing combined with good graphic design at CopyBlogger. This is one of the most successful blogs on the internet today. There you’ll see a perfect example of what you are referring to. They have red text links on the sidebars to differentiate the areas, but the main readable content is always black. On the other hand, when you visit a website or blog that looks like this one, after you’re done reading the page and go back to a regular page your eyes feel like you’ve just waken up in the morning. I depend on graphic designers, especially for my retail clients in the fashion industry. There’s a place for “pretty” design work. If you’re selling retail women clothing, luxury items or a few other products, eye candy is critical. But when it comes to getting clients (patients) to part with their money and give it to you instead of the next practitioner down the street, a “clear” and compelling marketing message will beat artsy-fartsy design any day of the week. The only reason why people leave a website without taking the action you want them to take – like optin-in to receive your newsletter or buying your product or service – is because: 1) They don’t want it. 2) They can’t afford it, or 3) You haven’t done a good job at communicating how your product or service is going to save them time or money, make them money, or improve their quality of life. It’s called copywriting, but I don’t think they teach it in visual design school. As a graphic designer, I disagree to some extent. I do think there are plenty of faux “graphic designers” designing over gimicky, bloated sites. However, an experienced designer knows how to create something clean, compelling, a pleasure to read, loads fast, gets to the point. When I am looking for a holistic practitioner, or any service for that matter, the look of their website either causes me to stay and look around, or leave at once. A holistic site should be pretty, btw. It should be calming, clean and simple. The colors should create instant harmony. Healing, soothing. And about grey type: I love it! My personal sites all use grey type and I only get compliments from my visitors. There’s many shades of gray! And of course a newspaper isn’t going to print an article in gray text.. it’s not cost effective. That would require an extra plate and there might be registration issues. That is not a proper comparison. Goodness, it sounds to me you’ve had too many experiences w/faux designers. And, if one goes to a proper art school for graphic design, copywriting is definitely something that will be taught, however not as extensively as if it was one’s major. Some of us are good at both, but most choose to focus on one or the other. If your sink gets clogged, do you call an electrician? If you want great copy, hire a copywriter. Thank you for commenting firtree. In reference to grey type, you say: “I love it!” That’s exactly my point. You see, what you or I love is not important. What matters is that the website – or landing page – is optimized (by split testing) to convert a visitor into a paying client, especially when you’re driving paid traffic to it. Testing has shown time and time again that grey text reduces conversions. I encourage you to check out Marketing Sherpa. 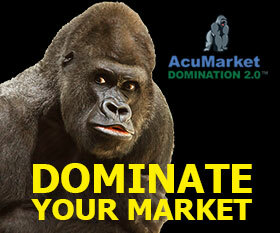 They are the leading authority on testing website and landing page conversion. Newspapers can print text that looks grey by simply using a percentage of black on the same black plate. It’s called a screen and it doesn’t require an additional plate. There is no registration issue either because there’s nothing to register. In other words, you’re not registering (aligning) two different colors. You are simply printing black ink. A 10% screen (on the black plate) prints light grey, while a 90% screen (on the same black plate) prints like a dark grey – and you can go with any percentage in between. By the way, a screen can be burned (imaged) on any color plate. You can have a 15% black screen simulating grey or a 15% screen on a red plate that prints like pink. Twenty years running my own printing company taught me a thing or two about screens and graphic designers. Man, reading that article sure will rub people who create websites for a living the wrong way. The author obviously doesn’t understand design and what makes a site good. You can have the most life changing content, but if it’s not presented in an effective way, no one will read it. Design is a reflection of who you are. 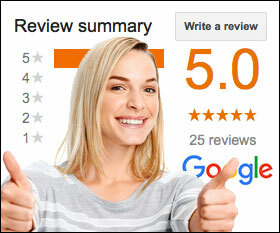 If you have a boring template website, the image people will have of you is that, boring. Good design can create a company. Thank you for your comment. My intention has never been to rub graphic designers the wrong way. 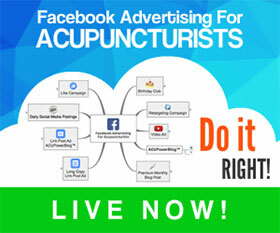 My intention is to educate acupuncturists how to EFFECTIVELY market their practice online. There’s a balance between design and message. Notice I say message – not content. Content is the text you request from your clients to copy and paste on a web page. 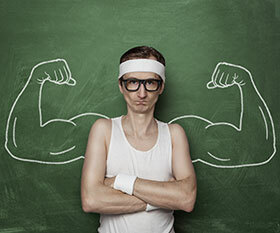 Most of the time (99%) this text – or content – has no strategic marketing message whatsoever. The designer takes this text, dresses it up with pretty graphics and tells the client that “good design can create a company.” Ahh… I don’t think so. What can make or break a company is the marketing. Pretty websites don’t put food on the table, websites that convert visitors to clients do. It is funny, because these posts are all quite old, but they do still matter today. It is also very funny that a lot of graphic designer ego’s are speaking here. The most interesting thing is…everybody is right! I work as a creative and content manager @ a commercial company, where I do webdesign and content for WordPress, Facebook, etc. There is money to spend and money to make, so if we make something, it has to be visually attractive to lure people in to a buy (so to speak). A graphic designer is kind of like an artist. Few are original and a lot of them are copycats (though they don’t see it that way). This is not bad perse, because you can be original, but in the end, the website has to apeal to customers who see it. As an acupuncturist, I want my core message to be clear. Who am I, what do I do,, why am I the best choice, where am I situated, what are my fees. Acupuncturists can be compared to the graphic designers, because evere therapist is different in their needle art and tastes. I do have to agree with the author, that the message is more important then the design. On the other hand…if you are just starting out and have no clue about design, a graphic designer can help you out a lot. I already have a clear visual picture in my mind of the website I want, so I can communicate clearly what I want, if I let my website being build. …or try to build it my self. Most therapists are not really in to this stuff, so they have no fracking clue what content, SEO, etc. means. So if you see it from that perspective a graphic/web designer makes sence to start…and yes they will cost you a lot of money. On the other side…most therapists are not well in business administration either, so what do they do? They hire an accountant to do what they don’t know peep of. My advice…everything you do for the first time is new, strange and for some even scary. Just dive into the process and read/ask for online help in fora. At some point it will become clear and you can do it all yourself. THAT is very important in your own small business, because it will save you a lot of money, which you do not have in the beginning. If hyou are not up to that? That’s fine too….hire a designer!